That was the question posed during a recent meeting of Boston Global Forum. Led by BGF Co-Founder and Chairman Michael S. Dukakis, attendees gathered to discuss the plight of the working poor worldwide, and determine paths of action to address the pandemic problem of worker safety. 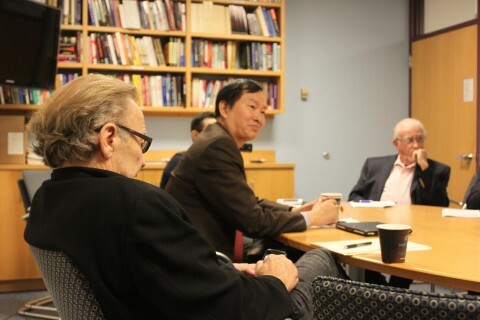 Mr. Tuan Nguyen, Editor-in-Chief of Boston Global Forum. Global outcry reached a peak on April 24, 2013, when more than 1,000 garment workers in the Rana Plaza of Bangladesh – most of them women – were killed in a factory collapse. The building was just one of the country’s 5,000 factories, few of which are regulated, and the tragedy shone a spotlight on the need for workplace requirements as well as human dignity. Bangladesh is pivotal to the international garment industry. While it is second only to China in the revenues generated from garment production, Bangladesh’s factory workers have little hope for economic growth, receiving just one-fifth of the wages Chinese garment workers receive. Despite this economic disparity, garment exports from Bangladesh are expected to triple between 2005 and 2010, and triple again by 2020. Declaring minimal standards for worker safety as the 2013 Issue of the Year, the Boston Global Forum will host a conference on minimal global standards for worker safety on Nov. 18th from 7:30-9 a.m. The web-based seminar will air early to allow individuals from Asia to participate. The conference will bring together leaders in public policy, business, organized labor, civil society and the media, as well as providing participants the opportunity to provide their own viewpoints. 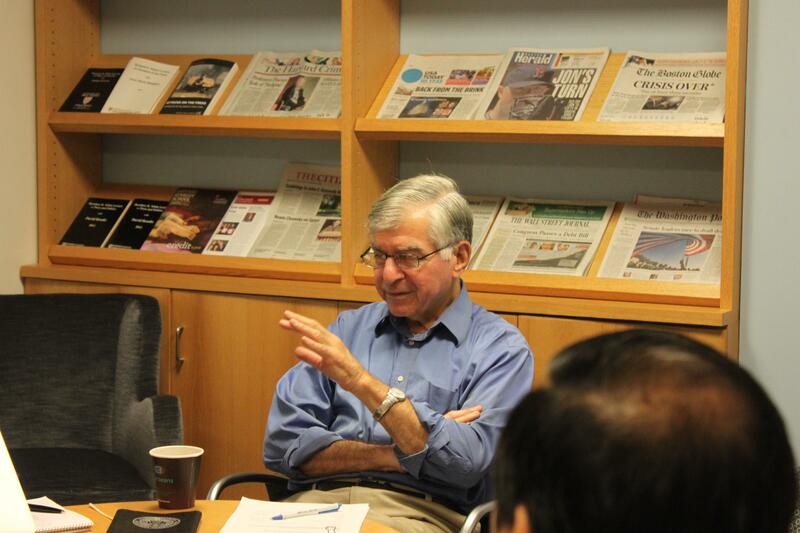 Chairman Dukakis posed a thought-provoking point during the meeting. Tuan Nguyen, Co-Founder and Editor-in-Chief of the Boston Global Forum, focused on diversifying the conference’s audience between the U.S. and Asia. “It’s very important, and the online conference will help many people contribute, moderate, and even interact across online and social media,” he said. 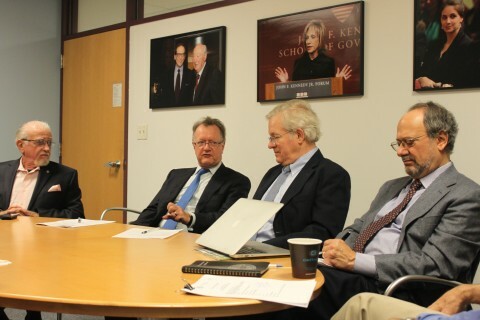 Professor John Quelch of the Harvard Business School addresses the meeting. Robert Kuttner, Co-Founder and Co-Editor in Chief of The American Prospect magazine, said, “what drives (this situation) is these desperately poor countries eager to attract lots of jobs in apparel. There are hundreds of millions of people who desperately need these jobs. Even though these jobs are dismal by American standards, defenders of the low standards will say, well, they’re better than what was there before. It incubates an industry that you hope will be the first rung on the ladder of better industries.” Therefore, Kuttner said, it might behoove the conference to address not only workers’ safety, but also worker and labor rights. Ultimately, meeting attendees decided to reach out to leaders across multiple fields, including public policy, journalism, civil society, business, and organized labor. The Online Conference on Minimal Global Standards for Worker Safety will be broadcast on Boston Global Forum at 7:30 a.m. Nov. 18th Boston time.